In comparison with long-term average May was common as for temperature and markedly below average as for precipitation. 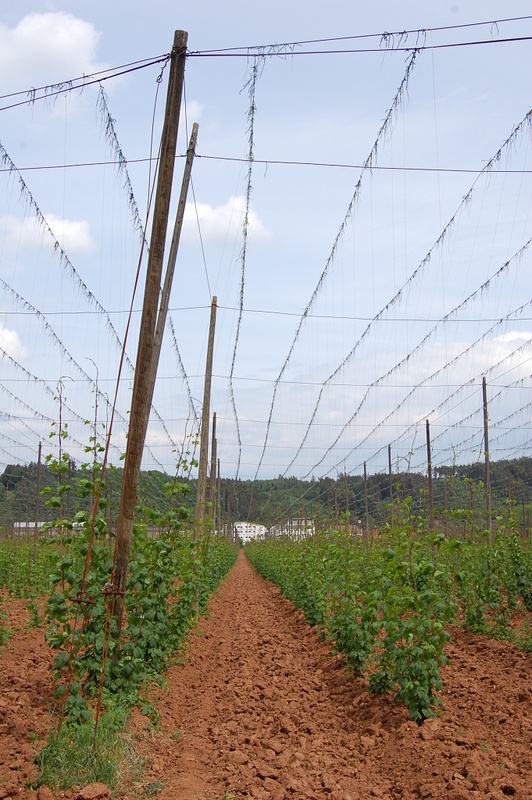 The first hop training was finished in all localities at the end of May, the second one will be finished in some localities at the beginning of June. The hilling was done in the most of hop area as well. The average height of hop plants reached approx. 2,0 - 2,5 m at the end of May. Chemical treatment against Peronospora was applied in all hop gardens. The health state of hop plants is good. Attached photo from May 29th shows the actual typical stand of hop gardens.